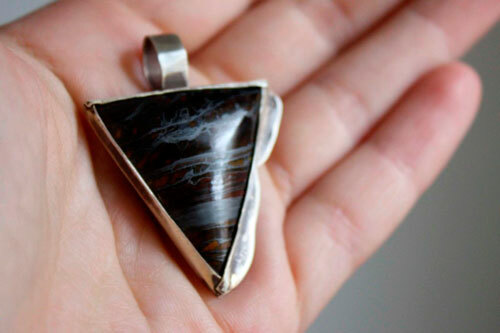 This pendant is made of sterling silver (925) made by hand in my workshop, and a beautiful triangular tiger eye cabochon. 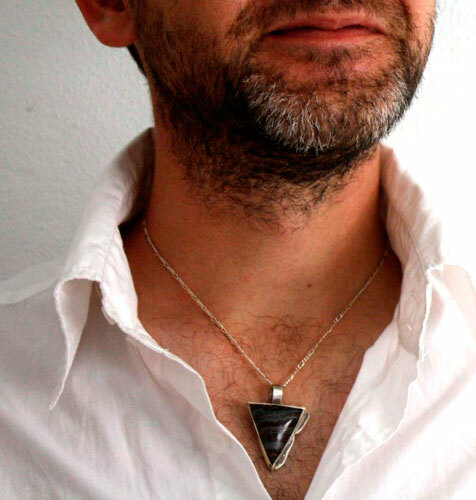 Adalrik is a pendant with character by the very sharp corners tiger eye and its dark colors. It is set with a clean design to create a solid case, accompanying attributes of this stone. 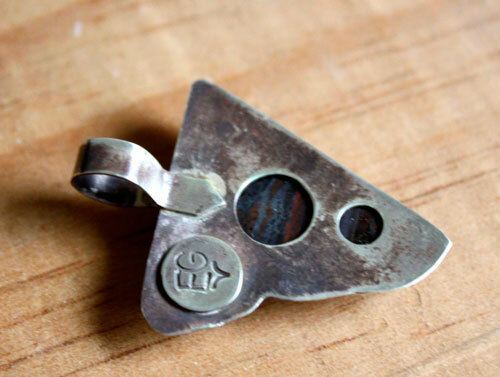 The sterling silver sheet that serves as its base extends from one side with an irregularly cut to give it movement. The tie is wide to give him strength. 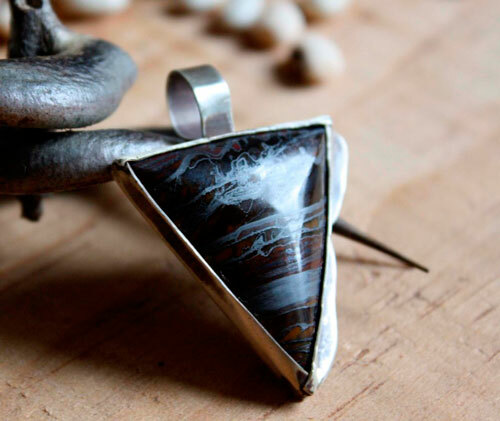 The back of the pendant is openwork with circular shapes to give light to the tiger eye. 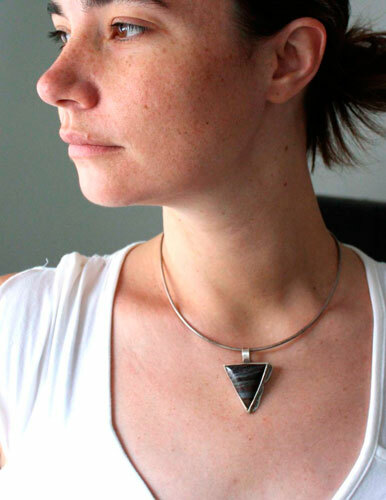 For this triangular pendant, I needed a name evoking the character, strength. I chose a name of Nordic origin, suggesting these brave sailors and warriors who were the Vikings. My choice fell on Adalrik meaning "noble, powerful, rich of his ancestors." This last expression combines well with this pendant by the age of the semi-precious stone. Rich of his ancestors means enjoy their experience to be better, idealistic idea that I like. 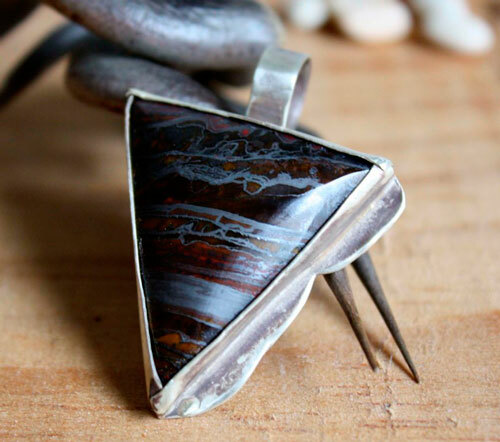 I set it in a rustic bezel to focus on the masculine and strong aspect of this pendant. The surface is 4 x 3 cm. 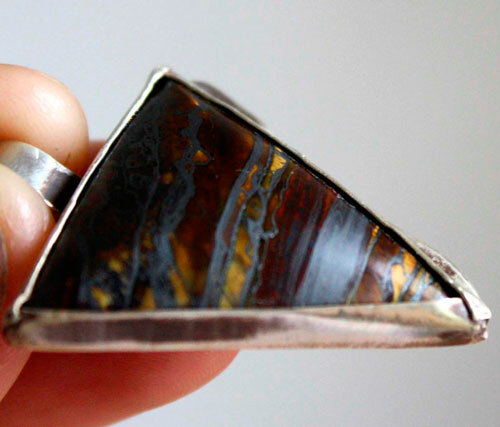 Tag: pendant, sterling silver, man, unique, tiger eye, gift, valentine, jewel, father’s day, birthday, cabochon, semiprecious stone, north, nordic, viking, character, strength, passion, courage, warrior, browser, navigation, longship, adventure, ancestor, experience, ancient, wisdom.